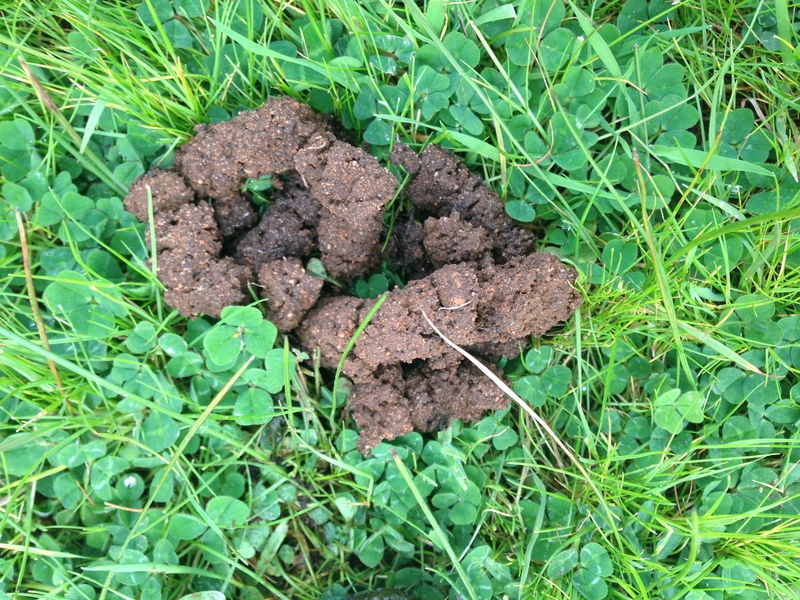 The moist dung (as pellets or plops) of sheep is colonised and buried by B. bison. B. bison breeds successfully in sheep dung. Self-sustaining populations of B. bison can depend entirely on sheep dung. In WA in June 2012 there were extensive areas (many thousands of hectares) over which all the sheep dung was buried by B. bison. The same soil cast unrolled. That’s how deep the dung beetles went into the soil. We now recommend Bubas bison for the management of sheep dung in winter- and even-rainfall regions of Australia. The production benefits of the burial of sheep dung are likely to be substantial but have not yet been examined. 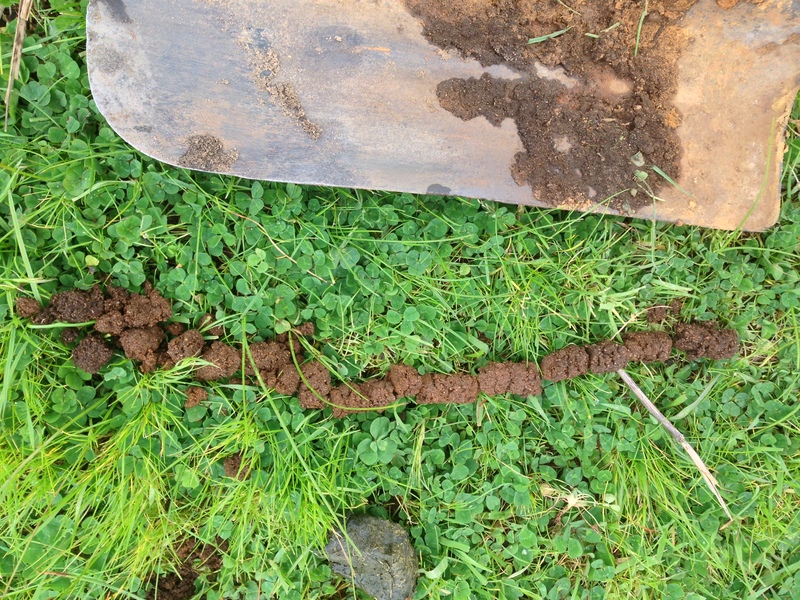 The Northern Tablelands Dung Beetle Express investigated the extent of sheep dung burial by other species of dung beetles. They found that dung beetles in the New England region will bury about one gram of sheep dung per beetle per day. They found that sheep dung is used by at least six native species (Onthophagus atrox, O. australis, O. capella, O. chepara, O. dandalu, O. granulatus) and four introduced species (Onthophagus gazella , Euoniticellus africanus, E. intermedius, Onitis pecuarius). It is not clear from their report whether self-sustaining populations of these species can exist entirely on sheep dung. A more detailed account of their work can be found at the Southern New England Landcare website. And what about goat dung? Sheep and goat dung are similar to each other. We expect that the response of dung beetles to goat dung will be similar to their response to sheep dung, although this hasn’t been tested scientifically.